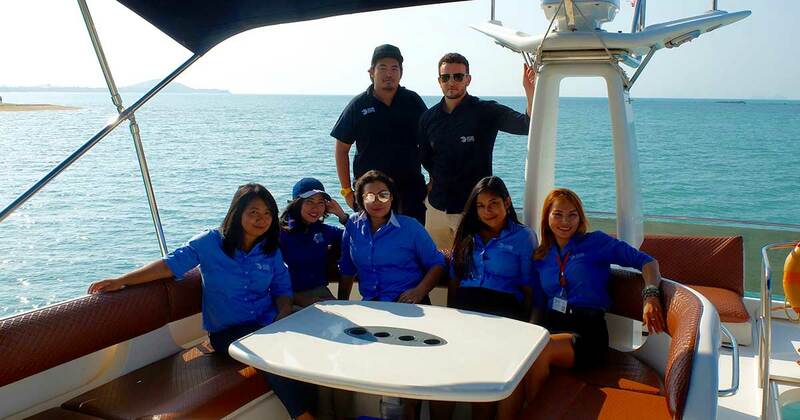 In late 2017 Oceana Samui explored the option of cooperating exclusively with other Five Star properties on the Island and uncovered a strong demand for a quality and service-minded tour operator that could successfully meet the expectations of Koh Samui’s high end market tourists. We took advantage of our prior knowledge and skillset sustained at the Conrad and adapted the same theory to a strategy that helped us to exclusively sign the Ritz-Carlton, Anantara Lawana, Anantara Bophut, W Resort, Santiburi, Mantra and Hansar resorts all within a year. We have onsite Resort Hosts at every location that assist guests directly with excursion bookings, personalized itineraries, recommendations and island information and also own and operate the privately chartered Ritz-Carlton and W Resort speedboats with our own crew. Our Private speedboat and Yacht fleet are available to guests of these resorts as well as all tourists visiting the Island of Koh Samui. We take pride in the reputation that we have established in Samui as the islands go to high-end excursion company and appreciate every opportunity that we are given to provide our guests with at least one unforgettable experience during their holiday.